Are you feeling naughty or nice today? 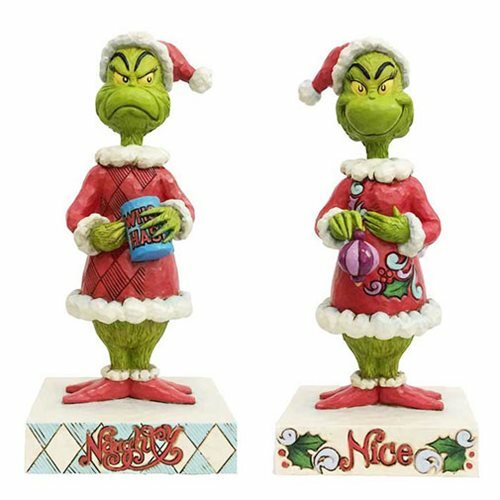 This clever Dr. Seuss The Grinch Grinch Two-Sided Naughty Nice Statue by Jim Shore is inspired by How the Grinch Stole Christmas! It features a two-faced Grinch who will support you either way - just turn him around! One side says Naughty" and the other states "Nice," each with an appropriate face. Made of stone resin, he stands approximately 9-inches tall.